Facebook has changed its news feed algorithm for the millionth time. In this instance, the victim isn’t spam or games — it’s the “clickbait” mongers of the world. That’s right: You may start seeing far fewer Upworthy and Buzzfeed posts in the future. Clickbait posts are the junk food of content consumption: They provide just enough information sans substance to make you want more. 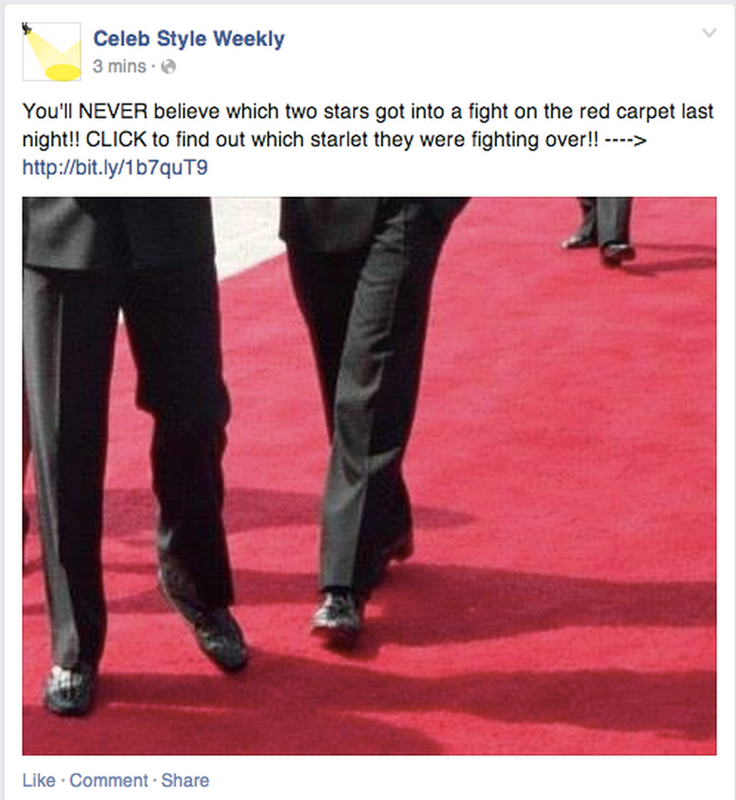 Facebook said in the blog post that although clickbait titles see high engagement, that doesn’t mean users like them. “When we asked people in an initial survey what type of content they preferred to see in their News Feeds, 80 percent of the time people preferred headlines that helped them decide if they wanted to read the full article before they had to click through,” the company said. Instead of combing the headline text for “clickbait triggers,” Facebook is taking a different approach to weeding out clickbait. The algorithm will track the amount of time people spend on an article after they click the link. If they immediately return to Facebook — suggesting that the content of the article wasn’t as compelling as its title promised — then Facebook will devalue that post in the search rankings. The company will also track user engagement with the post — how many people like or comment on a link in the news feed. The new anti-clickbait change could strike a big blow against Upworthy and Buzzfeed, but not necessarily. It simply puts the pressure on those companies to make their content as compelling as their click-worthy headlines. Hopefully, however, the change will demolish sites that have tried to capitalize on the Upworthy clickbait trend by imitating that headline style, even if they don’t have anything interesting to say. We welcome a focus from Facebook on engaged time. Upworthy is driving well over 100 million Attention Minutes per month and 300,000 Attention Minutes per post published to Facebook. Upworthy also has some of the strongest engagement on the Web, with an average of 25,000 Likes, Shares and Comments per post for all content in the first half of 2014. That’s 39 times higher than the average social actions per post of the Web’s top 25 publishers. Update: This story has been changed since publishing to include the statement from Upworthy.